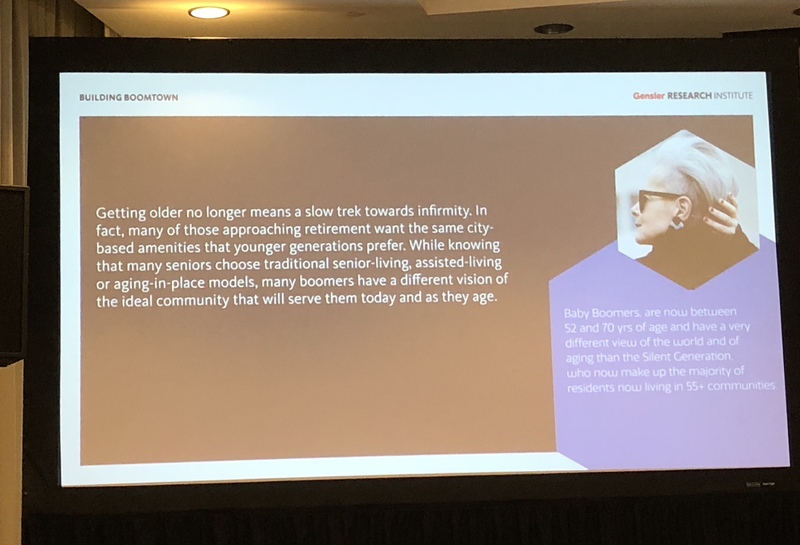 We’re happy to report that the aging / age-tech speakers and panels at SXSW 2019 did not disappoint, and the ideas presented gave us much to think about. One key takeaway that will guide AustinUP as we expand our efforts to make Austin age-progressive: Innovation without implementation is nothing. Let’s do this, Austin! 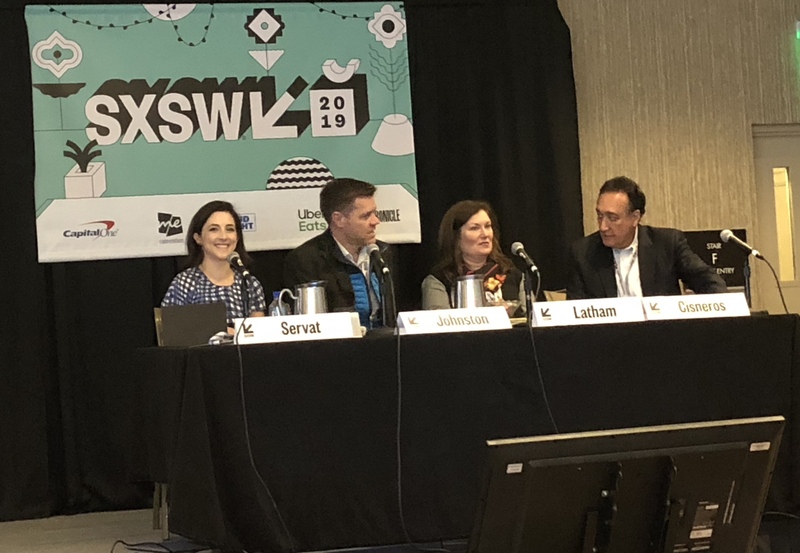 Here are a few additional SXSW panel notes and links to explore and share. Panelist Kerry Hannon, AARP’s work and job expert, talked about the importance of training and certification to help both younger people who can’t afford college, as well as older workers who need updated digital skills. Another suggestion: Employers could provide career coaches to help workers as they change roles at a company. A list of best practices for employers is featured on the AARP website. 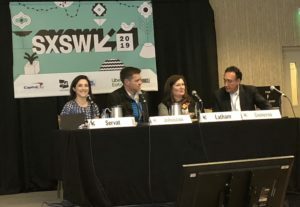 This panel was led by Jeannie Ralston, Central Texas-based founder, editor and adventurer-in-chief of NextTribe, a digital magazine for women aged 45+ that has the motto, “Age Boldly.” The panel suggested that older entrepreneurs have knowledge that can serve as a brand. A few additional words of advice: 1) hire your weakness; 2) nurture your network to find resources; 3) don’t dwell on those annoying, negative voices inside your head; 4) don’t burn bridges (keep the peace in your network); and 5) know your purpose. You can watch a video of the presentation here. By 2030, there will be more people over the age of 60 than under the age of 10. Cities are on the front lines of this shift and can realize the massive social and economic potential of older adults as they work to improve city services. This panel, that included San Antonio-based Henry Cisneros, discussed age-forward practices and strategies for cities. Chip Conley, mentor to Brian Chesky, Airbnb’s CEO and founder and author of Wisdom @ Work: The Making of a Modern Elder, offered words of workplace wisdom to a packed, multigen audience. 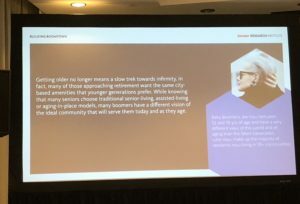 He said, “With a variety of generations in the workplace, it’s time to perfect the ability to work together.” He stressed the importance of cross-generational “mutual mentorship,” age-diversity in the workplace, lifelong learning and maintaining our sense of curiosity as we age. We need to own the word “elder” because most adults gather and gain wisdom as they age. Being a “modern elder” is all about relevance not just reverence, i.e., knowing what’s important and what’s not. The sharing economy also means sharing across generations. Research shows that people in their 50s are actually happier than people in their 40s, demonstrating that there’s an incongruity between what we say about aging and the reality. The old work/life model, “learn, earn and retire” is going away. Lifelong learning, career adaptation and senior internships are the wave of the future. The term “middle-essence,” like adolescence, should be a thing. There is much research and discussion about human behavior during adolescence, but nothing to describe what happens in middle-life. It’s a time of transitions, menopause, career change, empty nest, etc., but there is little in society to help or address it. Women sometimes talk about it and share observations, but men often don’t. The consequences often are tragic, i.e., an increased suicide rate in the U.S.
To learn more, watch a conversation between Chip Conley and Brian Chesky, CEO and founder of Airbnb.